Community Activist & Teaching Artist – MICHELLE MYERS __// spoken word poet. community activist. educator. In her endeavors to build positive relationships across communities, Michelle has served as a teaching artist at numerous community organizations around the city of Philadelphia, such as the Asian Arts Initiative, the Mural Arts Program, Education Works, AmeriCorp, and Congreso. She has also worked with youth at Barrio Planta Project in San Juan del Sur, Nicaragua. These experiences have allowed Michelle to share her love of poetry with youth. 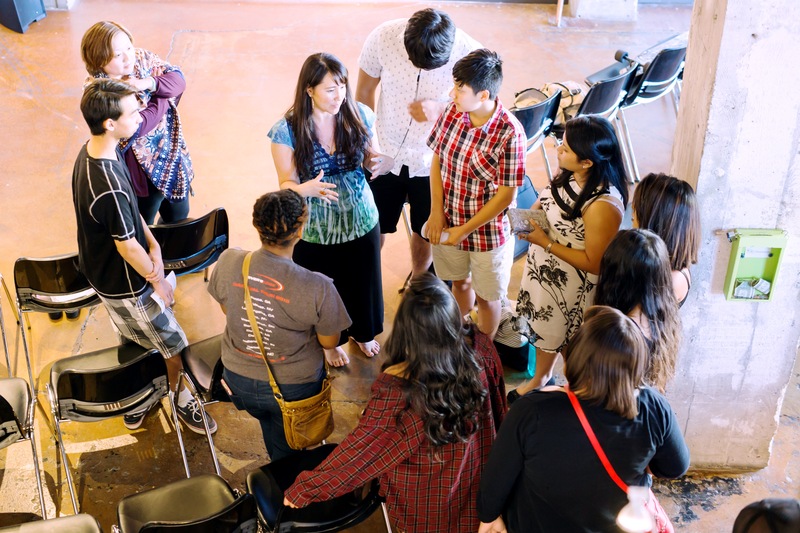 She encourages students to write poems which enable them to discuss and explore such topics as the importance of identity, the meaning of culture, the impact of family, the hardships of being an immigrant, the struggles of Asian Americans, the tradition of story-telling, the tragedy of youth violence, and the pain of racism and cultural misunderstanding. In working with youth, Michelle provides a supportive space so that youth can create spoken word poetry through reading, writing, sharing (performing), feedback and reflection.